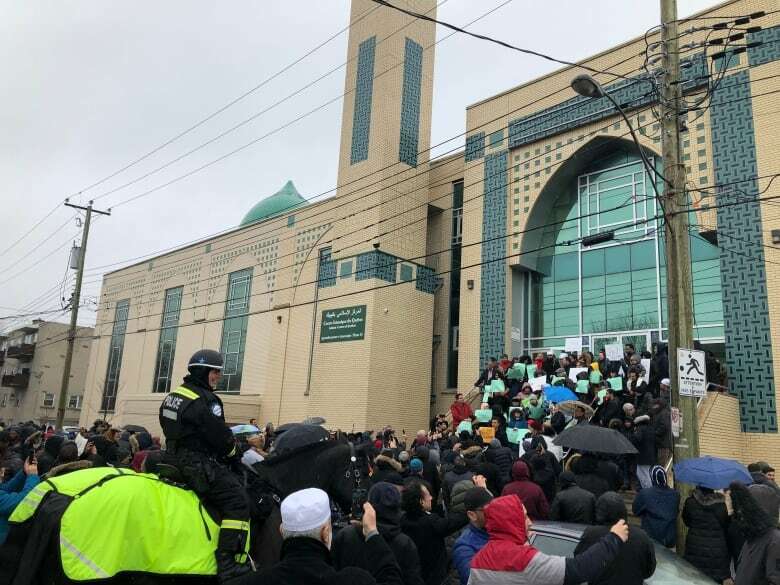 People of different faiths gathered at a Saint-Laurent mosque to show support and solidarity after the terrorist attack in New Zealand. News of the stabbing of a priest at Saint Joseph's Oratory was not far from anyone's thoughts. 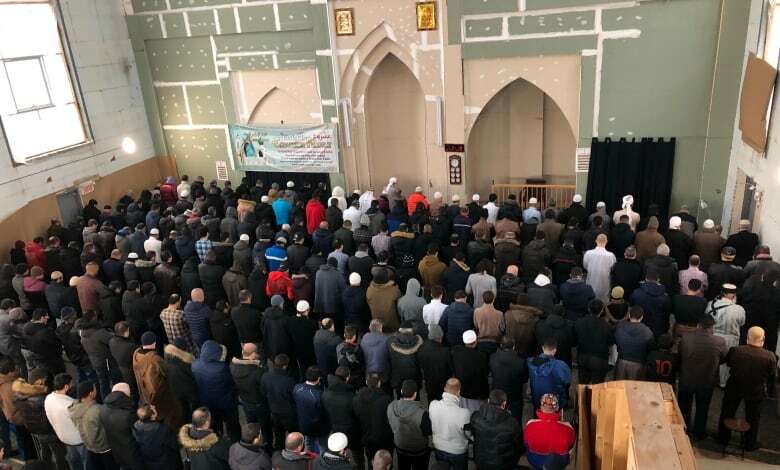 At an interfaith gathering at a Montreal mosque, meant to show support after the terrorist attack in New Zealand, the stabbing of a priest at Saint Joseph's Oratory was not far from anyone's thoughts. "This is something shocking," said Musabbir Alam, an imam and Muslim community leader. "As faith communities, we are together. The only way to combat this hate is with love and compassion for each other." Alam, co-founder of the Canadian Muslim Alliance, was one of the organizers of a "circle of peace" at the Islamic Centre of Quebec in Montreal's Saint-Laurent neighbourhood. 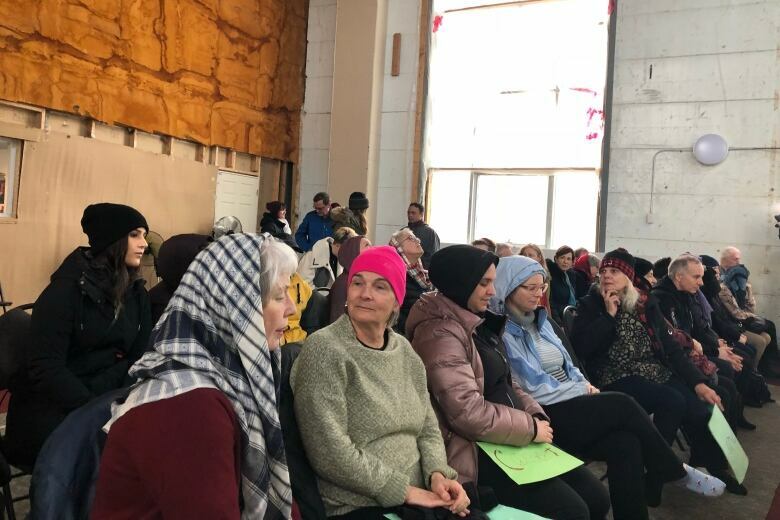 The circle brought members of Montreal's diverse religious communities together outside the mosque during afternoon prayers, symbolically protecting the Muslim worshippers as they prayed. "The intentions of the terrorists are to divide us," Alam said. "But when you have the support like this from the faith communities and other communities, it gives us the assurance that we should not be fearful, because we are not alone." The idea for the circle of peace came after Alam received messages of support from Rabbi Lisa Grushcow of Temple Emanu-El-Beth Sholom in Westmount and Rev. Diane Rollert of the Unitarian Church of Montreal. "It really was just a way for us to show our love and support for this community," said Rollert. "It's so important to show to the world that there are more people who are filled with love than with hate." Events like the attacks on houses of worship in Christchurch, Pittsburgh or Quebec City — or the Oratory — create a feeling of vulnerability, Grushcow said. "This is a space where you renew and refresh your soul," she said. "To have violence in that kind of space, it's a double violation. There is apprehension about going into one's holy place." 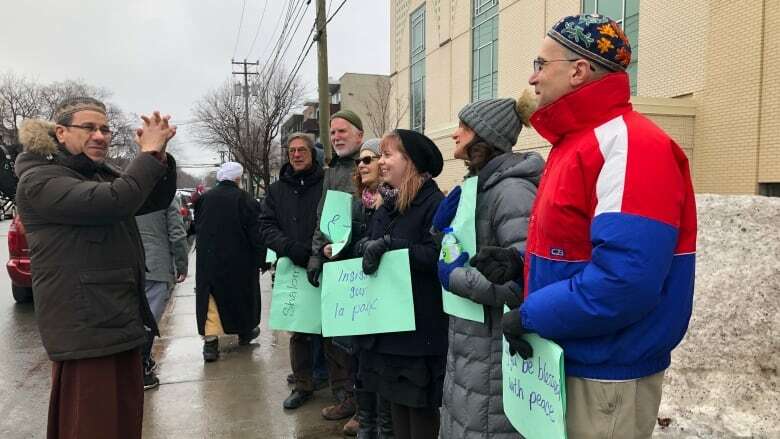 "I'm here in support of our Muslim friends and colleagues," said Rabbi Ellen Greenspan, an educator at Temple Emanu-El-Beth Sholom in Westmount. "They deserve to be free and safe just like we deserve to be free and safe." Outside the mosque, people held signs with messages of peace. Some worshippers coming to the mosque for prayer stopped to give thanks. Mary-Lynne Courteau, a Christian, said she came "for unity," and to show that "we can look beyond our differences, and respect each other, learn from each other, grow from each other." Courteau said her neighbours in her building are a Muslim family whom she considers to be her brothers and sisters. She said she took part to be grateful to them for taking care of her. "They took care of me for two weeks," she said. "I'd had an emergency and had to go to the hospital, and I was very weak. They came down every day, brought me food .… They were so open. They would call me after work to see if I was OK."
Brian Bronfman, who is Jewish, said diversity is what makes Montreal and Canada beautiful. "We need everybody — no matter their culture, their religion, whatever background they may have — to feel part of our society, to be integrated and to contribute," he said. "I want to be part of that message, that everybody is worthy of respect. Everyone's worthy of inclusion."